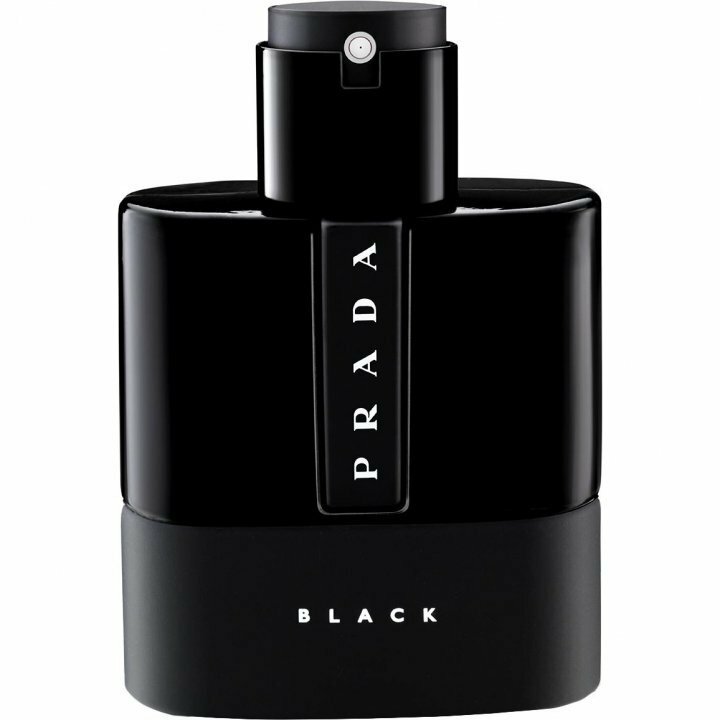 Love the bottle, assume Prada will make the fragrance also nice! Hope this would be more innovative than Carbon, which was 90% copy of Sauvage....The bottle is nice indeed. I really like Carbon flanker as to me it is Sauvage minus irritating bubble gum note I'll most definitely give this Black flanker a try! From the notes I so wish this would go in the direction of TF's Noir EDP or LIDGE, a very dark and musty smell with sweet undertones and a strong woody base. Thanks for the info Vin on this new one. Thanks, Vin. Bottle looks incredible. Will sample for sure. Could be good. Could be generic. Only those who smell shall know. I feel like they deleted the old Extreme / Intense / Whatever and split it into Luna Rossa Sauvage (Carbon) and Luna Rossa Anthracite (Black). They sure know how to churn this franchise to keep up interest! They should have kept at least the part with Prada in red imo. Now it's more of a Prada Luna Black. I have the Carbon from last year and will at least sample this one also. Not to mention "Sport" as well! That bottle... I own Extreme but it's amazing what a color change can do. I own the original Luna Rossa in the newer bottle...damn...the all black look is clean. Probably a blind buy for me. Any news on the U.S. release for this one? They have it listed now on the Prada site but no real information. On that official site it is named simply Prada Black... strange. However it seems that the new flankers demolish the original idea of Luna Rossa. Tested it a couple of times already. Reminds me of a mix between Luna Rossa Sport and Luna Rossa Extreme. Spicy sweet is how I would describe it. The opoening reminds me somewhat of Tam Dao edp though there is no evident notes' overlap. In the drydown I get some Joop Wow / CH Men echos. Good persistence. It's likable. Tested it a couple of times already. Where is this available to test? I have looked and I can't even find any Euro sites selling this one yet. At the beginning it's at least rather different from the nowadays usual designer crop. But after about two hours it turns into some unremarkable sweetness - nothing to write home about. So odd release from Prada. Smells close to Rossa Sport, but smoother and more powdery with enhanced tonka. I sprayed Sport on the right arm and Black on the left one. Similar smell, though Sport is brighter and more citrusy. 30 minutes later Black becomes ambroxany, skinny and very elegant; Sport on the contrary is still screaming. However, I don't understand the aim of Black in the Luna Rossa line. Maybe they decide to discontinue the Sport soon. FYI this is now in stock at most major US retailers. I just picked up a bottle at Macy's. This looks awesome, and isn't it interesting, a Luna Rossa without lavender which is almost a signature of the line. Why intense and extreme seem necessary is mysterious. Dulce & Gabanna Blue is beautiful. They made an extreme which is similar, not so strong, and... lost the beauty. Fairly pleasant but nothing spectacular. Agreed with Anton - its powdery.